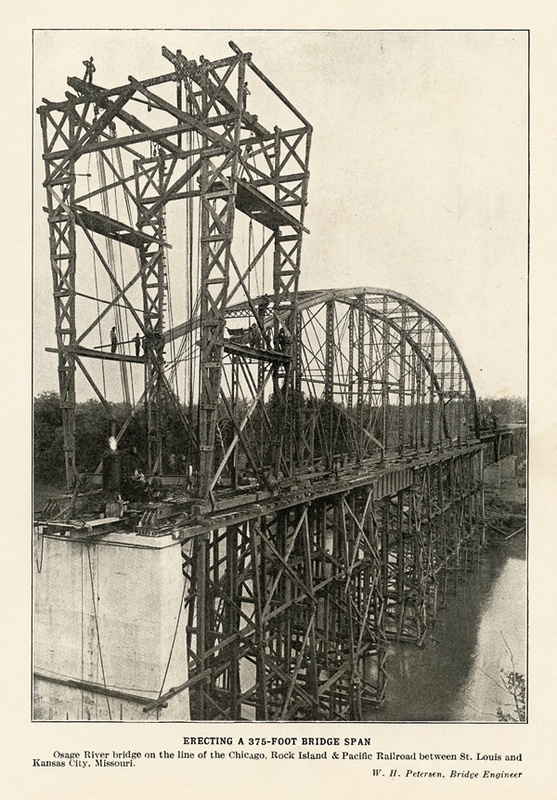 Although long out of service, the Henley railroad bridge is still an imposing iron bridge across the Osage in Miller County, not far from St. Elizabeth. It is hard to get to as the right of way is grown up and interested bridge hunters have to walk in. Tangled, grown up brush makes the walk difficult – easier in winter than summer. 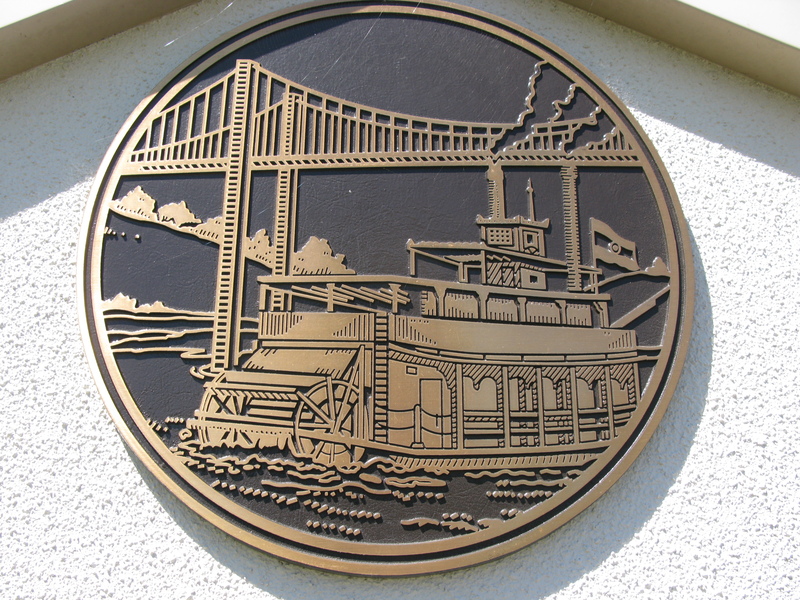 It was built in 1903 for the Chicago, Rock Island, & Pacific Railroad to span the Osage River. The main span is a pin-connected, 14-panel Pennsylvania through truss. With the bankruptcy of the railroad in 1980, ownership of the line was transferred through many hands until the Union Pacific Railroad sold it to Ameren Corp, a St. Louis-based utility. The majority of the line (including the Henley Bridge) has not been used since 1979. Bridgehunter.com is a valuable resource for those fascinated by old bridges.